The hype is real, but will the phone live up to it? The Essential Phone (styled PH-1) is a debut handset created by the godfather of Android, Andy Rubin, and his brand-new company. It's entering a crowded field dominated by the same few phones: Samsung's Galaxy Note. The latest LG V phone. Google's Pixel (previously Nexus) phones. And of course, the iPhone. Nevertheless, the new kid in town is getting a lot of attention. But will it succeed? Here’s everything you need to know about the Essential Phone and how it stacks up against the heavy-hitters. Update 1/11/18: Essential has added a number of accessories for sale on its website. The "ocean depths" color of the Essential Phone isn't shipping yet. When it launched, the Essential Phone costs $699 for 128GB of storage, but on Oct. 23, Essential slashed the price to $499, a near-30-percent discount. 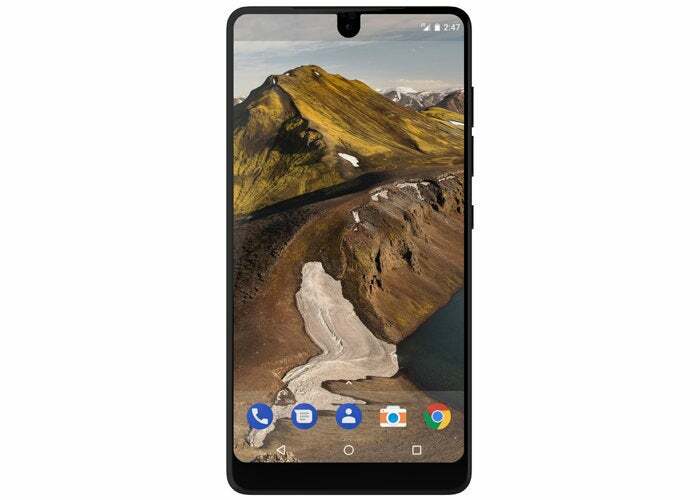 Essential Phone can be ordered unlocked in Black Moon or Pure White through Essential.com, Best Buy, and Amazon, or through its exclusive carrier, Sprint. The unlocked version of the phone will work with all carriers. The Black Moon and Pure White versions of the phone are shipping now, but the other colors, Stellar Grey and Ocean Depths, aren’t available for purchase yet. The Essential Phone is nearly completely bezel-less, with a notch at the top for the camera. There are two main reasons why the Essential Phone is getting so much attention. One is the involvement of Rubin. The other is the display. The spec sheet doesn’t really do it justice: The Essential Phone is one of the first phones to eliminate the top bezel completely, meaning the screen extends all the way to the upper edge. There is a small bezel at the bottom of the phone, so it's not fully symmetrical. Also missing from the Essential Phone is the headphone jack. It does, however, ship with a USB-C dongle that lets you connect a standard pair of headphones. There's a Snapdragon 835 chip inside the Essential Phone. The Essential Phone is a premium phone with premium pricing, so as you’d expect it includes Qualcomm's top-of-the-line Snapdragon 835 chip. You also get 4GB of RAM, 128GB of UFS 2.1 storage, and a 3,040mAh battery, about the same size as the battery in the Galaxy S8 and LG G6. Note, however, that there’s no support for wireless charging and it’s not water-resistant. The first accessory for Essential Phone is a 360-degree camera. Aside from the screen, the other interesting aspect of Essential Phone is its magnetic add-ons. Like the Moto Z2 and its magnetic Mods, Essential plans on making a whole catalogue of modular accessories that bolster the capabilities of the handset, releasing one "every few months." But for now there’s only one available: a 4K 360-degree camera that features dual 12MP cameras and records in 3840x1920 at 30 fps. It sells for $199. Essential is also selling a pair of high-resolution earbuds called Earphones|HD with a digital USB-C connector and tangle free cord for $99. You can also pick up an extra 27W Fast Charger for $39 and a USB-C to 3.5 mm headphone jack adapter for $15. Several Essential accessories are coming soon. The most interesting is a Home assistant speaker like looks something like the Echo Spot. Sleek and diminutive, it has a circular screen and uses the information on your phone to plan your day and keep you apprised of what's happening in the world. There will also be a desktop Phone Dock that connects to the phone's magnetic connector as well as a hardshell case for the camera. Pricing information isn't available, and Essential hasn't indicated when they might ship. You'll get a dual 12MP camera system with the Essential Phone, which boasts that its capable of capturing "up the 200 percent more light" than the average phone. Like other high-end Android phones, the Essential Phone features a dual-camera system, both 13MP, one color, one monochrome. 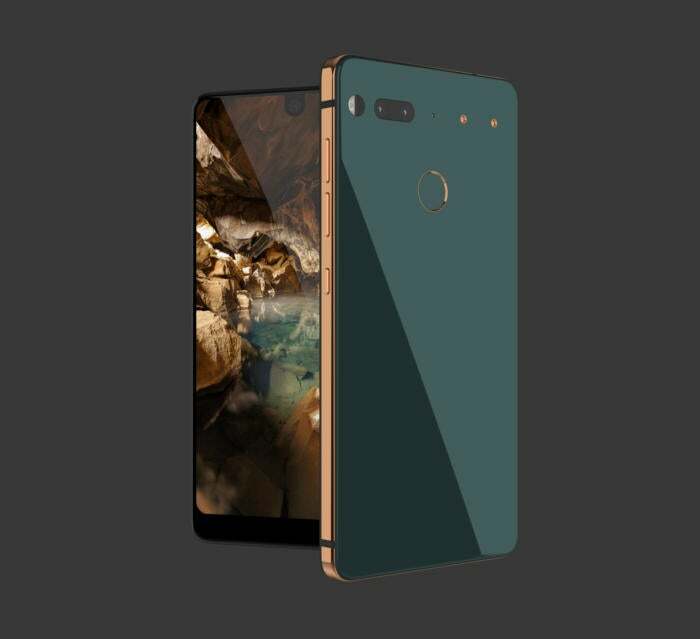 Essential claims it is "the world’s thinnest dual camera system built for a phone" and is capable of capturing up to 200 percent more light than "traditional" phone cameras. 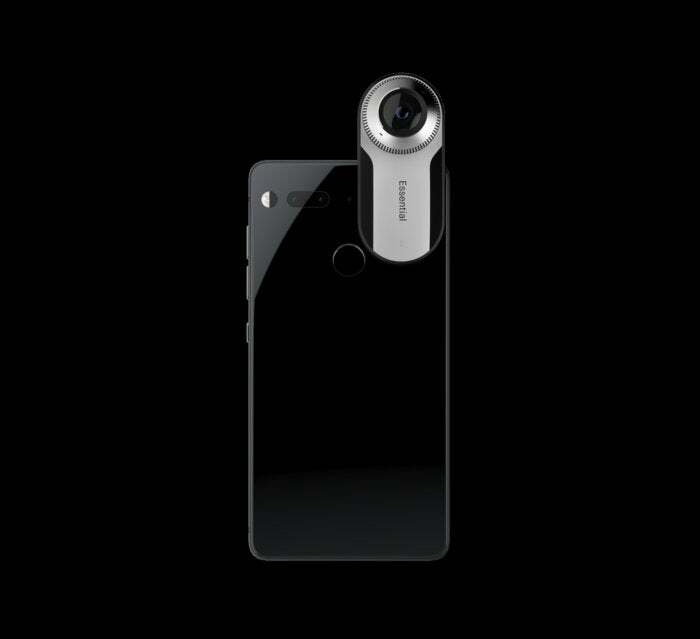 Neither lens features optical image stabilization, though the phone does use electronic image stabilization, like the Pixel. The camera also features hybrid auto-focus that combines contrast, phase detection, and IR laser assist focus for better focus with depth tracking. It can shoot 4K video at 30 fps. The 8MP front camera is pretty standard, with a f/2.2 fixed hyperfocal lens. Essential Phone doesn't have its own OS skin like other manufacturers do. It runs a pure version of Android 7.1 Nougat. With the exception of a proprietary camera app, the version of Android on the Essential Phone is the same as the one Google ships. Consequently, the company promises to follow the same update schedule as Pixel and Nexus phones, guaranteeing two years of major updates and three years of security updates. With Android 8 releasing at almost the same time as the phone does, it'll be a good test to see how fast Essential pushes the update to users. During a Reddit AMA on Oct. 10, Rubin said an Oreo update would be arriving "within several weeks."